A car accident is a terrifying event. Call the police immediately, report the accident and let them know if you need medical attention. 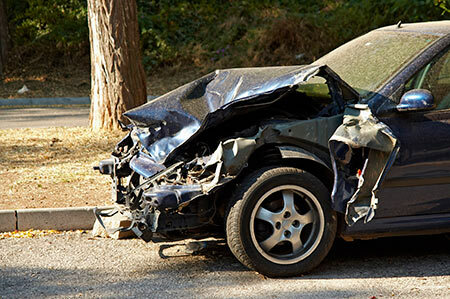 If you are able, exchange contact and insurance information with the other driver, photograph the damage to all vehicles, and note the names and contact information of any witnesses to the accident. Remember to keep any documentation you receive. Be truthful and factual when retelling the incident to the police. If you are not at fault, there is no need to apologize. You are also within your rights to have a doctor determine the extent of your injuries, if any, at a later date. In Louisiana, you have a limited amount of time within which to assert your claim. Additionally, it is sometimes important to speak with an attorney soon after the accident so that crucial evidence can be examined or preserved or important witnesses be interviewed when their memories are still fresh. Our firm takes most personal injury cases on a contingency basis. This means that we are paid by receiving a set percentage of whatever award we are able to get you. In other words, if you don’t recover any money, neither do we.